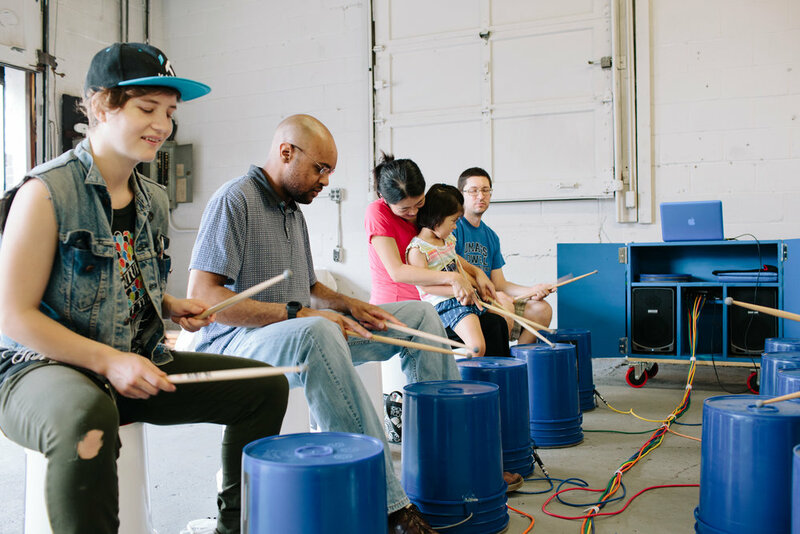 The Beat Bus brings a one-of-a-kind electronic bucket drumming instrument to festivals, community centers, schools, and libraries throughout New England. 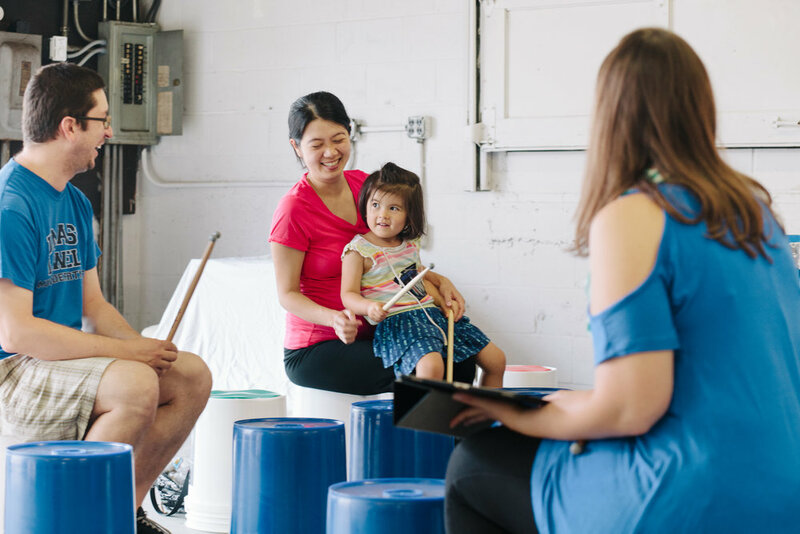 Participants are able to make music - from the beats to melodies - just by drumming on a bucket! Professional musicians facilitate the groove making, while any participant is invited to jam while exploring new sounds! We have a team of a dozen teaching artists and assistants passionate about bringing our accessible electronic bucket drumming instrument to the community! Their expertise ranges from song writing to salsa dancing, contemporary saxophone playing to touring with bands and ensembles. Our team is: Alicia Ortiz, Cale Israel, Cody Carson, Daniel Shinde, David Szebeda, Josh Knowles, Julian Loida, Lady Pabo-Szebeda, Mary Joy Patchett, Nicole Pompei, Stephanie Munoz, and Xuefei Qiao. The Beat Bus is lead by Maria Finkelmeier and Greg Jukes. Updating public listings can be found on the upcoming events page! 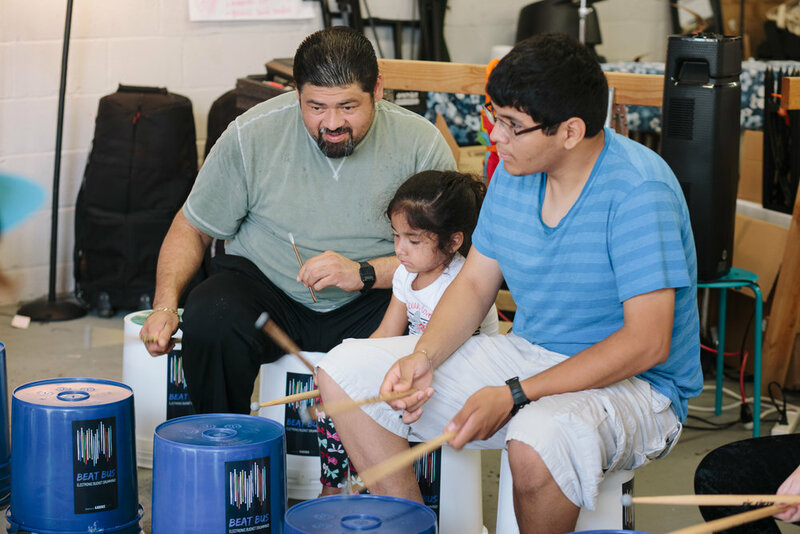 Beat Bus provides another innovation to the arsenal of percussion ensemble teachers. Beat Bus teaches an age old lesson of performing in a percussion ensemble, while introducing the technology aspect to the lesson. Using classic 808 drum patches through an interface linked to Ableton software, Beat Bus introduces students to what it now considered standard electronic instrumentation in the genres of hip-hop, EDM and popular music. The Beat Bus staff were positive with our students and made all the activities fun! It was pretty cool to see the guy play the drums. We got to use a speaker to hear new sounds like snare drums and the tambourine. — 5th grader Bravo Waterbury! I thought it was really fun and cool. — 3rd grader Bravo Waterbury! It was nice and I really liked it. It was really cool to experience how buckets can make sounds with chords. — 4th grader Bravo Waterbury! Our one-of-a-kind electro-bucket drums sound perfect with the Vic Firth 5B Chop Out sticks! They allow for the trigger to active, while muting the acoustic sound of the bucket. Thank you Vic Frith, for donating these sticks!